Heaven or Hell, Duel 1, Lets Rock! This summer, at E3 2014, we got a chance to play the biggest new fighting game to come out of Arc System Works at the Sony booth, Guilty Gear Xrd. 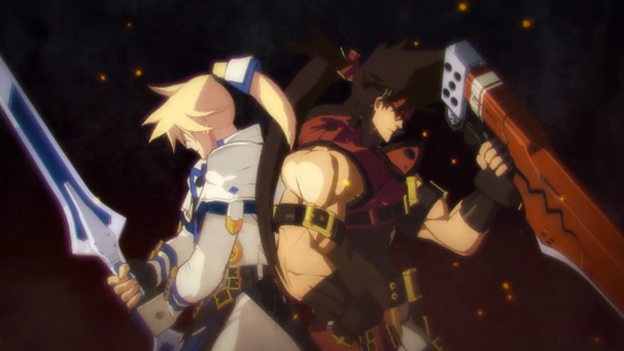 The Guilty Gear franchise skipped an entire console generation, and fans of the series are chomping at the bit to be able to play it once again. The game will be a PlayStation exclusive, which is going to be a huge feather in Sony’s cap when it comes to the fighting game community. But does the game have the chops to compete with Xbox One exclusive Killer Instinct? 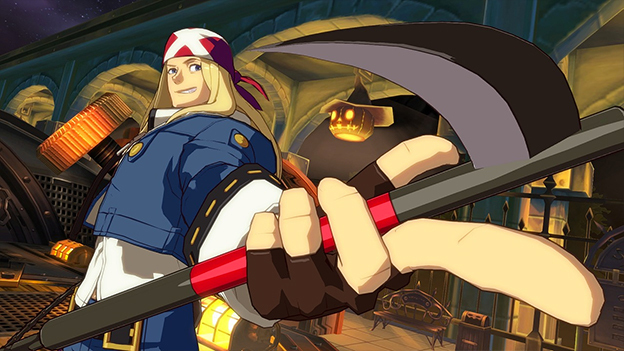 The first thing you’ll notice is that Guilty Gear Xrd is gorgeous. If anything, the developers have spent the most effort on the game’s graphics system. Those characters that you are watching, they aren’t sprites. They are actually full 3D polygonal models. They look like a moving anime but they are 3D nonetheless. Even in the introduction scenes to matches, where the camera pans around characters in anime format, you are still seeing a 3D model, not an anime cutscene. It’s hard to believe until you see it in action, running at a stunning 60fps in 1080p, but it’s true. This has given the developers a tone of leeway with character animations. Granted, most animations still look like they did when the characters were made out of sprites, but at times the game’s camera moves around to emphasize the action. If you use a super, the camera will zoom in on the first few frames, a lot like Street Fighter IV did with Ultras. However, the camera angle is different every time, depending on how the super is executed, and you get to see the startup in a brilliant close-up. The camera also changes angles for throws, dust launchers, and some other special attacks, letting you see the characters interact with each other at close range. This actually makes Potemkin, the grappler character, a lot of fun to play, even though he isn’t nearly as good as he was in prior titles. 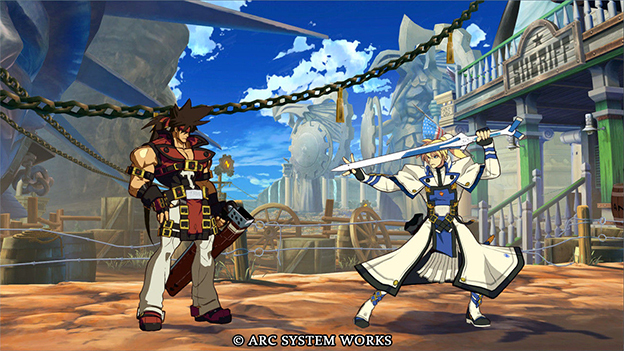 Speaking of prior titles, if you played any other Guilty Gear before, you can hop right in to Xrd. 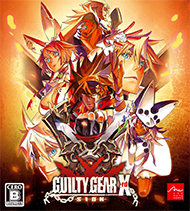 The game is nearly identical to prior Guilty Gears. The button layout is the same, the chain system is the same, the dust overhead system is the same, and even the meter is the same. In fact, the meter has gotten a little bit better as there are tiny marks on it to show when you are at 25, 50, 75, and 100 percent meter, which makes it easy to tell when you can do things like Roman Cancel (returning to neutral immediately from any move), or Dead Angles (attacking your opponent out of block stun. There are a few small changes though. For one, FRCs, or Forced Roman Cancels, the ability to cancel certain moves during certain frames for less meter, have been taken out. Instead, Roman Cancels are generalized into three types. If you Roman Cancel while the opponent is in hit-stun, you will get a Red Roman Cancel and it will cost 50% meter every time. If you roman cancel while the opponent is not in hit-stun or blockstun, at the beginning of a move’s animation, like an FRC, then you will get a Yellow Roman Cancel and it will only cost 25% meter. Doing so at the end of a move to keep yourself safe, on the other hand, will create a Purple Roman Cancel, which one again costs 50% meter. In addition, Roman Canceling slows time for the opponent for a very brief period of time, allowing you to mix-them up or chase your projectiles to keep pressure on. Aside from that there are a couple other small changes as well. The dust button no longer always launches you. Instead you can “homing dash” which allows for lots of corner carry and brutal corner combos. A new “danger time” mechanic has been introduced when two heavy moves clash with each other. When this happens time slows for a second and the next move that lands is a “mortal counter” which puts the opponent into an extremely long hit-stun and allows your move to be canceled into quite literally anything. Also, there is a new style of blocking called the Blitz Sheild, which is sort of like a heavier Faultless Defense. Doing so A, restores your meter if you guard successfully, and B, makes your opponent’s attacks repel off your shield, leaving them vulnerable to a counter attack. But otherwise, you are just playing the same Guilty Gear you have played in the past. Sol’s dust loops are still intact. Venom’s setups and traps are the same as ever. Heck, most attacks barely even feel like their frame data has been touched. This does, of course, mean that combos are monstrously long and there are some one touch deaths looming about. I only got a little bit of time to play with the new characters so I couldn’t give a deep analysis. Bedman is a strange zoner/buff/debuff character. Also he is asleep in a robot bed the whole time. He has abilities that change his movement a lot, which give him interesting ways to approach, but he does take up a lot of screen real estate. Ramlethal, however, was a bit easier to understand. She fights with two massive swords which she can set on the stage as pseudo traps. After a while they will swing without her, which allows you to control space really well. She is very aggressive and can still hit full screen! The rest of the characters play pretty much the same as they always have. Potemkin, my character of choice, is noticeably weaker… and that’s a shame. He was known for being one of the only good grapplers in gaming history, but I guess that age is over. You also might notice that the roster is small. There are only two new characters and many returning favorites, like Baiken, Anji, Jam, Bridget, and Dizzy are omitted from the roster. Overall, Guilty Gear Xrd was a lot of fun and is sure to please even old Guilty Gear fans and new fighting game players. Just want to note, however, that they aren’t reinventing the wheel here. Expect this to feel a lot like a sort of “super HD remix” of previous Guilty Gears, with tweaks only really noticeable at pro levels of gameplay. If you are OK with that, or if you are a professional gamer yourself, then by all means get this game when it comes out later this year. rich 16-year history as one of the most innovative fighting games ever, Guilty Gear Xrd-SIGN- brings its completely redesigned, extreme style and unique 3D animation to players everywhere. Extreme Battles Await - Guilty Gear's signature system, ?Roman Cancel,? has been significantly expanded and improved, creating endless fighting styles! 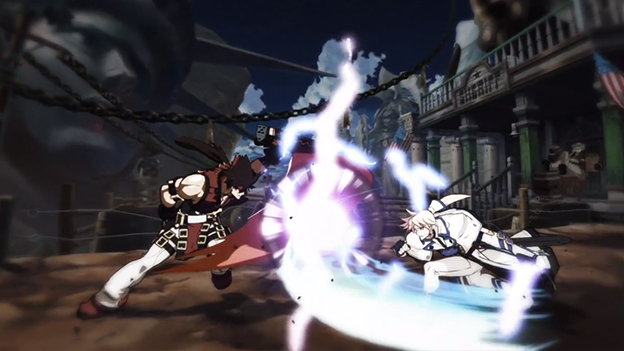 Arc System Works, developer of Guilty Gear, is legendary for its 2D animation style and decided to bring that sensibility to the world of 3D, creating a seamless and unique experience that will stun players with Guilty Gear's smooth, yet amazing graphics. Daisuke Ishiwatari, the multi-talented man behind Guilty Gear, once again arranges and composes the music of Guilty Gear Xrd-SIGN- featuring over 27 heavy rock tracks.